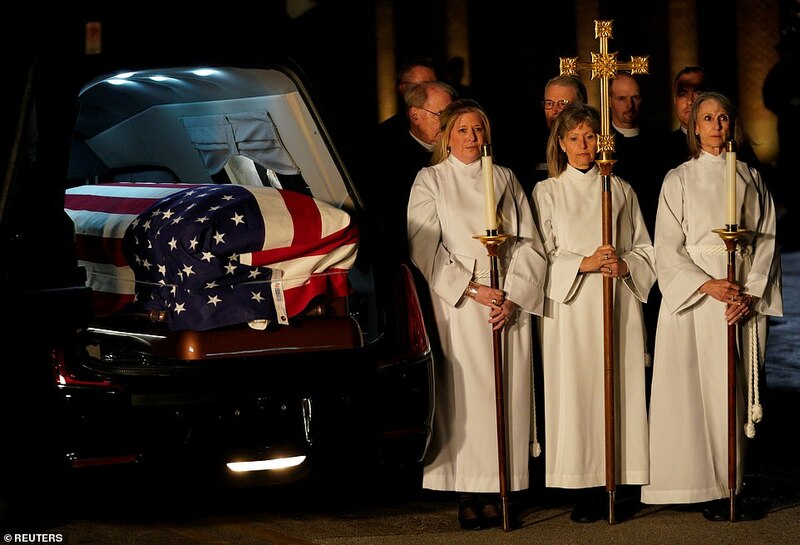 The same military aircraft, nicknamed Special Air Mission 41 in honor of the 41st president, had taken his body to Washington on Monday to lie in state at the Capitol. Mourners gathered at the airport to pay their respects to Bush as a black hearse waited for the flag-draped casket on the tarmac. While Bush’s casket was escorted from the aircraft to the hearse, former President George W. Bush, his wife Laura, and several other family members trailed behind. 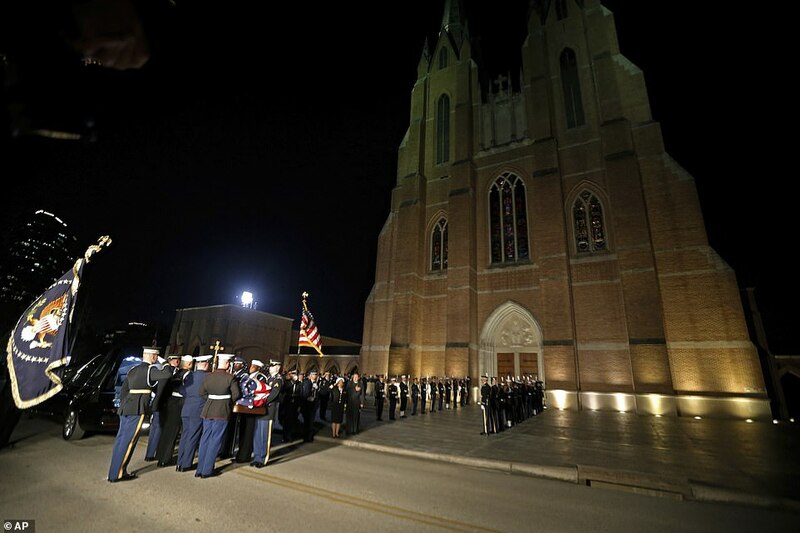 A motorcade then drove 45 minutes to St. Martin’s Episcopal Church where about 1,200 mourners are expected to attend the service at the church on Thursday morning.